On Tuesday we reported the new ‘Friends’ feature for Pokémon GO would rollout later this week. 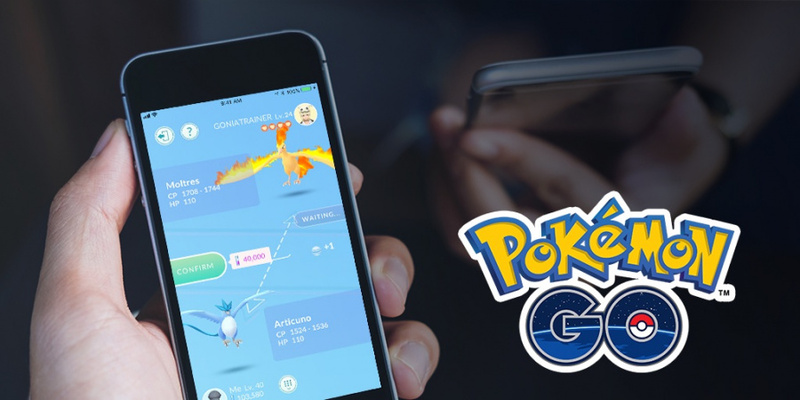 With Niantic slowly making this service and trading available to higher level players over the past day, the major release of the ‘Friends’ and social features is now live. This makes the services accessible to all trainers and trading available to players who are level 10 or higher. Are you happy the trading and friend services have finally arrived in Pokémon GO? Have you perhaps returned to the game in preparation for the release of Pokémon: Let’s Go, Pikachu and Let’s Go, Eevee? Tell us below. Honestly, assuming Niantic’s “Harry Potter Go” is any good, now is not the time for me to get back into this game. Maybe if they had released this a year or two ago it’d be a different story. I got back into it about a month and a half ago on a whim because I got a new phone. Glad I did. I hadn't played since before gen 2 Pokemon got added, and now we have gyms, raids, trading, friends, and Pokemon through gen 3. Not to mention that positively MASSIVE Mew super-quest that took my almost 6 weeks to complete! This game is way better than it was when I quit it. Hearing about Let's Go Eevee and Pikachu just made me want to continue more. I wish trading were possible online, like gifts are. But for reasons I can't possibly agree with, I am in a minority as most people I have talked to are glad you can't trade online. My best friend asked me to get back into it so I did. Me and her have a lot of fun with it sometimes. These social features are a welcome improvement. Kids are banned from taking part in any of this. My son was so excited to trade with me and was devastated when we found out he was disallowed from taking part; no friends, no trading, no alolan eggs, nothing. That's what I get for trying to do the right thing and not lie about about his age (and now there's no way to go back and change it). For anyone interested, my trainer code is 4644 5947 2530. @SuperC142 - really? That sounds a bit daft (PoGo, not you being honest), you can't 'talk' or give out information, other than a postcard of the Pokestop you got the gift you are sending from, which states location. Other than that, it seems pretty safe. @Mii_duck I agree; that's how I feel. But even so, they could do what most companies do and that would be to establish me as the parent for the minor's account and then allow me to approve/reject any friend requests. We mainly just want it to trade among our family members, gift each other, and raid together (you get attack bonuses if you're with friends, etc.). @SuperC142 - it seems a mistake for a company like Nintendo that has a strong eye on the family market, not to include levels of parental control. I have my fingers crossed for you that something happens soon to allow you to trade with your children. @SethNintendo - I'm not one for crazes, but when PoGo first came out it was brilliant. I remember being sat on the grass in our local park with my wife and daughter, enjoying the sun with iced lattes. We were between a Pokestop on a memorial tree and a Pokestop on the pool and fountain. We watched so many people walk by, pausing and looking at their phones - they were obviously doing PoGo, as we're we. It just felt so good, it made me smile, that there was this connection with people and the world, even if we weren't actually engaging face to face. Been having lots of fun with this lately the new updates are nice ., Looking forward to playing Pokemon Lets Go Pikachu on Switch it's gonna be great..
@jswhitfield8, sent you a request. @SethNintendo - I said pausing and looking at their phones, they weren't walking around glued to them, ignoring the world. They knew a Stop was there though, so people gathered, kids running around and talking to their parents about what they'd just caught etc. @Mii_duck Thanks Mii_duck! It's still pretty active here. On Pokemon Go Community Days especially, there are over a hundred people that congregate at our small, local library (which has a lot of pokestops). There is barbecue, raffles, etc. and everyone has a good time sharing the experience. Over the last couple of years, we've made several friends playing the game and it seems like it will last a long time, yet. That's why it's especially sad for my son; everyone is enthusiastically having fun with this, and he's completely banned from participating. I wish The Pokemon Company would step in and compel Niantic to permit kids to play their Pokemon game. @SuperC142 - my daughter is eight and doesn't have a phone yet (she's commandeered my tablet though) and it makes me sad to think that she won't be able to trade with her parents when she does eventually get PoGo. If you'd feel comfortable sharing your friend code, I'll send you a gift - you can tell your son it's for him, a gift from England. My trainer code is 8646 9459 4238 add me!! I always send gifts.